Bob Bouck (1942-2011) was a lifelong resident of Grand Ledge whose outgoing personality and commitment to community service made our community a better place. An Eagle Scout ad varsity letter winner in tennis and basketball, he graduated from Grand Ledge High School and went on to receive his Bachelor’s and Master’s degrees in Education from Michigan State University. He then started a career at Lansing Community College that spanned 40 years, teaching students and building programs that positively impacted lives throughout the greater Lansing area. His entire career and volunteer activities were devoted to the betterment of his community, particularly students and athletes. Bob’s involvement with the Grand Ledge Pony Colt program began in the late 1970s when he coaches his son’s baseball team for several years. Bob then spent the next 30+ years on the Board of Directors of the Grand Ledge Pony Colt organization, serving in every capacity from equipment manager, fundraising chair, registration chair, tournament chair, secretary, treasurer, vice president, and multiple terms as president. It was a common occurrence to see Bob at the ball fields whenever needed to pay umpires, rake infields, mediate disputes, keep scorebooks, help out at the concession stands, or assist in virtually any way needed. He also served on the regional Poly Colt board and was the tournament director for the Grand Lakes Baseball Classic for many years. Following his retirement from LCC, Bob also spent more than twenty years as the “Voice of the Comets” announcing Grand Ledge Varsity baseball games from the press box. 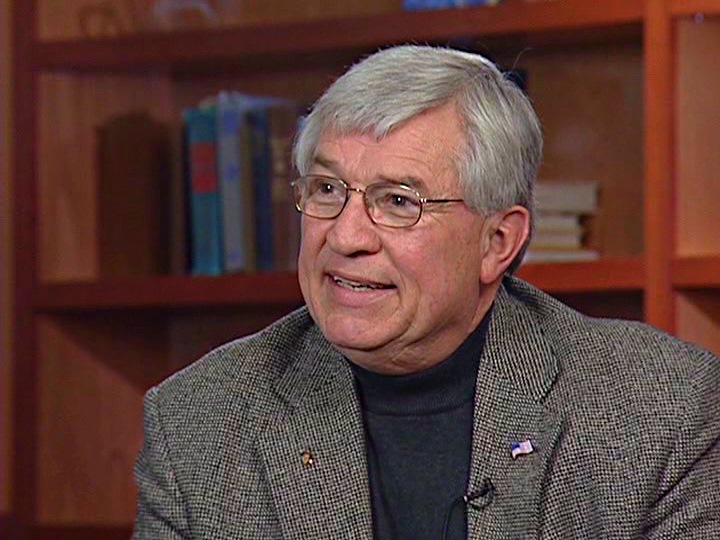 In addition to his work with GL Poly Colts, Mr. Bouck served on the Grand Ledge Public Schools Board of Education for sixteen years including several terms as president, was the student advisor for LCC’s Student Marketing Association for nearly twenty years and was also heavily involved in the junior Achievement program in Lansing. He was a founding member and served on the board of the Grand Ledge Area Historical Society holding all offices over time and was an avid collector of antique advertising pieces. What a short summary of his community work can’t fully describe is that Bob didn’t just serve as a policy maker sitting in a board room, he was actively involved with a hands-on approach because he thoroughly enjoyed people and treated everyone with kindness, respect and impartiality. Despite countless hours of volunteer service, Bob was a devoted family man who always put his family first. He is survived by his wife of 55 years, Terry, their two children, Kristen (Scott) Kemp and Andrew (Trish) Bouck and six grandchildren, Lindsay, Taylor and Camryn Kemp, and Oscar, Elliott, and Maxwell Bouck.